We’re still waiting for a second trailer for Mavel’s The Defenders but that doesn’t mean we’re not going to get some new images. Marvel released a new poster for the Netflix team-up show. It has the entire cast standing together in black and white. It’s a pretty dynamic image and continues the tradition of this series having marketing that looks like album covers. We also have a new series of motion posters that were posted to the various twitter accounts. There is a group image but when you go to the various accounts there are little videos for each of the characters. Of course with the accounts being active that means it’s time for the interns running these accounts to have a little fun. I thought the song was "Compton." Why are you making that…oh wait. THAT is your face. HAHAHA. Chill Jones. No need to be so hostile. That attitude? That's why you always lawyer up. I'm willing to place a bet. Keep at it Marvel interns. There is a good chance we’ll learn more about the Marvel series at Comic-Con International, D23 isn’t the right crowd for this series, so perhaps that’s when Marvel will give us a second trailer. It’ll be less than a month before the series debuts so maybe we’ll even get a chance to see the pilot in the panel if we’re lucky. It wouldn’t be the first time Marvel TV has debuted a pilot at a convention. We still have a month before Comic-Con International and just under two months until we get the chance to see the mini series. We don’t know much about the plot but if the characters bounce off of each other half as well on the show as they do on social media we’re in for a treat. Summary: Daredevil, Jessica Jones, Luke Cage, and Iron Fist team up to fight crime in New York City. 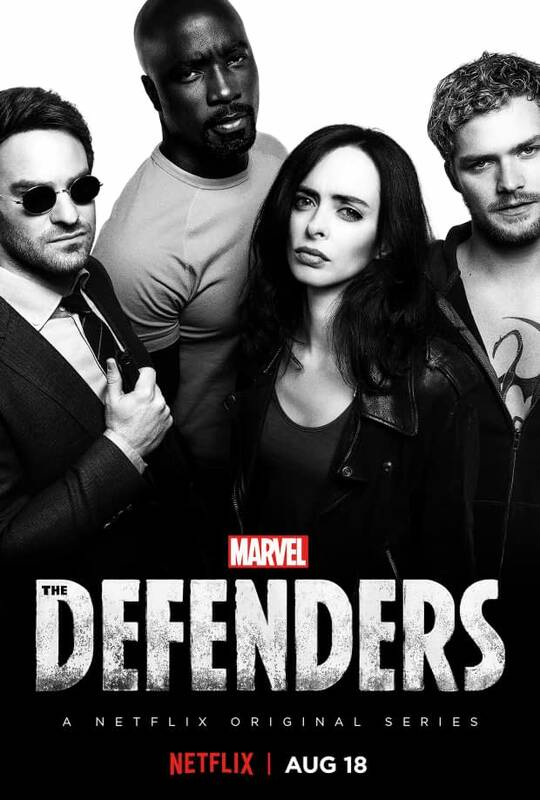 Marvel’s The Defenders, created by Douglas Petrie and Marco Ramirez, stars Charlie Cox, Krysten Ritter, Mike Colter, Finn Jones, and Sigourney Weaver. It will stream to Netflix on August 18, 2017. Listen To “The Rebel Alliance” For Free For The Next Month… But What Happened To Pidge And Gavin?